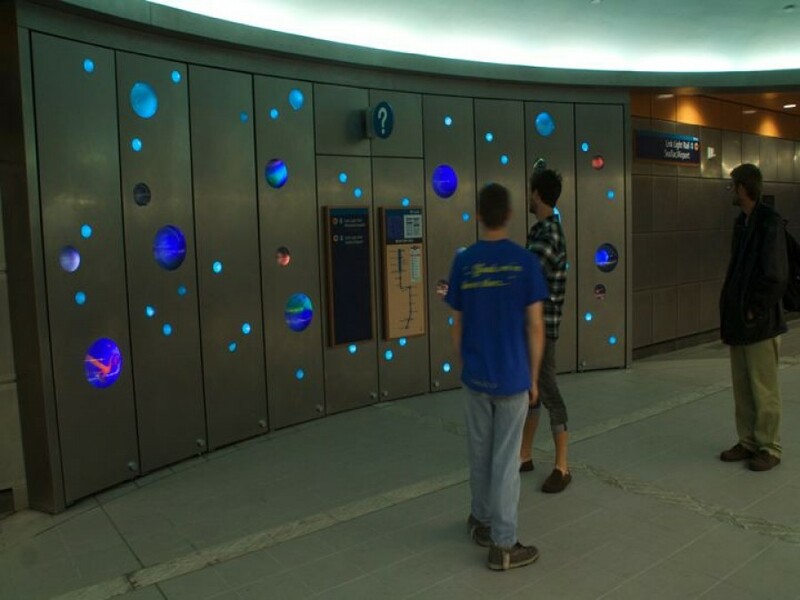 Video, monitors, LED lighting, cast glass, Stainless steel, computer control; Sound Transit Beacon Hill Tunnel Station, 2007. 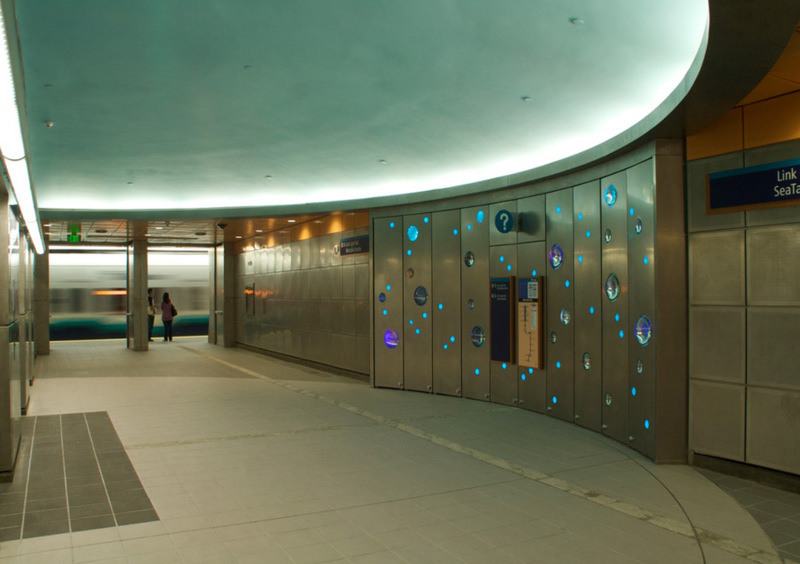 55 glass hemispheric “portholes” create an animated wall in the elevator lobby of the 2nd deepest light rail station in N. America. Behind the hemisphere lenses are video monitors and lighting that simulates portals into outer space, the microbial worlds and the deep sea. Video footage includes source material taken from NASA's Hubble telescope, Deep sea Alvin footage and microscopic video. The images are to prompt the viewer to question the scale of the various images...in the context of being deep inside the center of a hill. 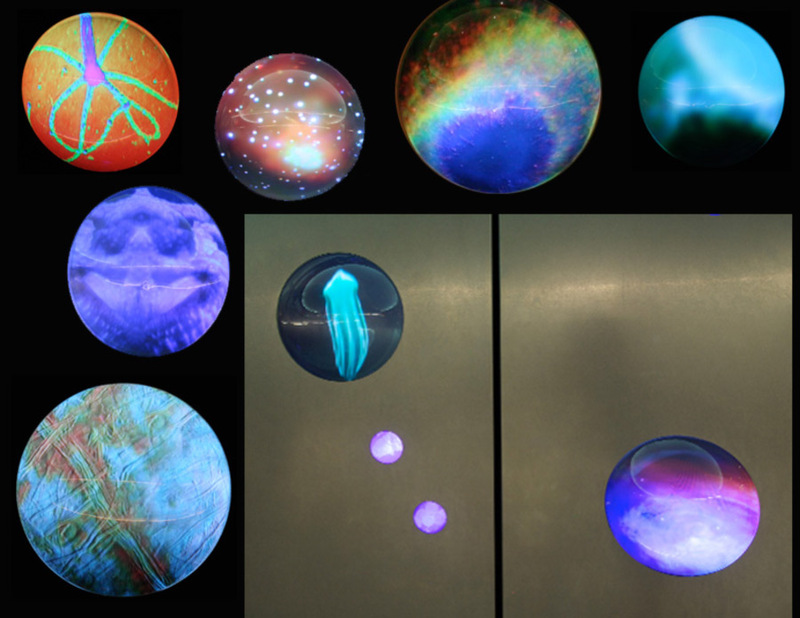 A variety of distorting "holographic" lenses with moving video. This entry was posted in gallery / installations, public art by dan. Bookmark the permalink.